When filmmaker David Aronowitsch cast Ahmed as an asylum seeker in a short film he was making, he became fascinated with how the actor’s life mirrored the role. 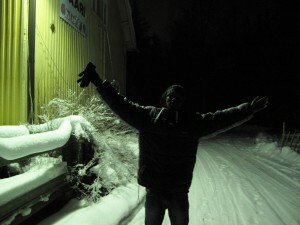 Arriving in Italy, Ahmed travelled to Sweden. Applying to legitimately make the country his home after six years, Ahmed is denied that opportunity because of an EU law known as the Dublin Regulation, which only allows him to apply for asylum in the country where he first entered Europe. Aronowitsch’s film follows Ahmed in trying to sort out his desperate, Catch-22 situation, and is shockingly timely in depicting the struggles many immigrants face in trying to make their lives in Europe.